Showing results by narrator "Elizabeth Grace Saunders"
Elizabeth Grace Saunders, internationally recognized time management expert, has helped everyone from busy moms to small business owners to corporate clients reorder their lives for success. She knows there are endless apps, books, and useful methods for becoming self-disciplined, organized, and more successful, but these tools alone aren't enough to provide true freedom from the stress of how to best manage time. 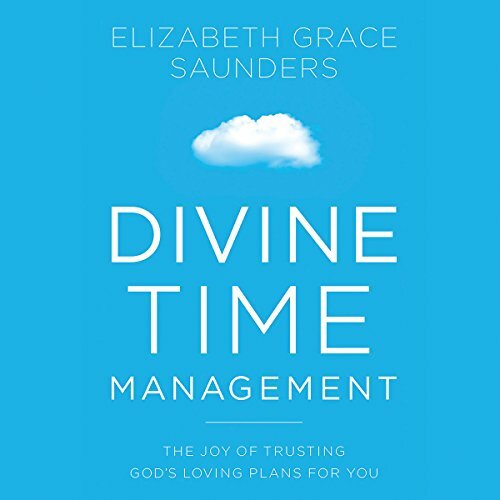 Yet when Elizabeth's longtime faith intersected with her work, it unlocked the power of Divine Time Management.